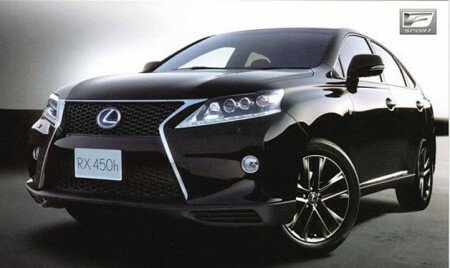 It is difficult to overestimate the car Lexus RX. He is the best-selling model from one of the most popular luxury car manufacturers. First introduced in the '90 's, currently undergoing its third car to the fourth generation on the way. It turned out to look at him through the World Wide Web leaked brochure. You may notice that when you update the car company has followed its most recent line of design. This can be seen on the chrome trimmed radiator grille that is typical for new sedans SG, a new form of headlamps with LED lights and, of course, thrown into the eyes of the new disks. However, while the car is hardly focused on performance, it is hoped that in future the model will acquire F-Sport package, which will include a new bumper, grille, anitikrylo and new wheels.